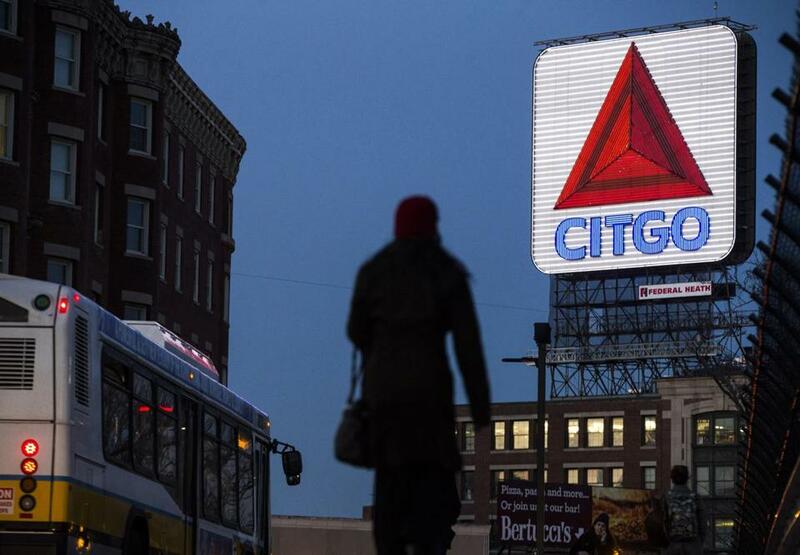 Pedestrians walked through Kenmore Square as sunlight fell on the Citgo sign on Monday. Like so many real estate disputes, this one involves a longtime tenant and a new landlord who wants to jack up the rent. But in this case, the tenant is the iconic Citgo sign — or, more precisely, the Venezuelan-owned oil company that leases the rooftop at 660 Beacon St., where the neon landmark sits. And the landlord is Related Beal, the New York developer that bought the building in October. The two are locked in a stalemate over how much Citgo Petroleum Corp. should pay to rent the perch for a sign that serves as a backdrop to Fenway Park and as a beacon as runners near the Boston Marathon’s finish line. 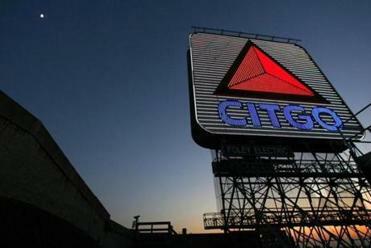 Citgo’s lease is set to expire just days before the Red Sox home opener. The standoff is the latest chapter in a yearlong saga over the electronic billboard’s future. And it highlights the challenge of conducting private negotiations about a very public monument. Each side believes it is in the right, but neither wants to be responsible for taking down a beloved piece of the Boston skyline. Neither Citgo nor Related would comment on specific prices, citing their ongoing talks. But people familiar with the matter said Citgo pays about $250,000 a year, a below-market rate it reached years ago with Boston University, which sold 660 Beacon and eight nearby buildings to Related for $134 million. Related, these people said, initially proposed a figure as much as 10 times that, noting the site’s potential value on the open market. The bigger number doesn’t seem outrageous to Donna Desmond, a California appraiser who specializes in outdoor advertising. She noted the site’s potential value to a big-name sports company advertiser that might value its proximity to Fenway Park and broad views from points across Boston and Cambridge. But the sign is also one-of-a-kind. And for Citgo it’s a legacy of a different age, long before it became a subsidiary of Petróleos de Venezuela SA, the national oil company of Venezuela. The company has relatively few gas stations in Greater Boston and took down its other large outdoor signs decades ago. The sharp drop in the price of oil in 2014 and Venezuela’s subsequent economic and political crises have weakened Petróleos de Venezuela. The sign remains, in part, because of the uproar that arose in the early 1980s when the company moved to take it down, said spokeswoman Brenda Rivera. The rent for the Citgo sign may be one-tenth of what the market would bear, according to one expert. How much that might cost remains unclear. Beyond the $250,000 annual rent, Citgo spends hundreds of thousands of dollars a year to light and maintain the sign and has funded several multimillion-dollar refurbishments over the years. The company has offered to increase its payments significantly, sources say, but the offer remains far below the seven-figure sums Related is seeking. Both sides said they hope to reach a mutually agreeable price and are giving themselves more time to talk. On Friday, Related agreed to extend the lease — which had been set to expire March 1 — for another month. Related says it’s willing to give Citgo a break on the price. “We are in active good-faith negotiations with Citgo and have offered them a long-term lease at significant discount to market as determined by an independent third-party appraisal,” Related said. City officials will have a role, too. The Boston Landmarks Commission is studying a request to make the sign an official landmark, which would grant it extra protections should Related launch a larger redevelopment of the site, something development experts consider likely. Citgo is stepping up its bid for public support to keep the sign as is. In February, the company signed on as a sponsor of the Marathon, after a lengthy absence, and will host a cheering party beneath the sign next month. 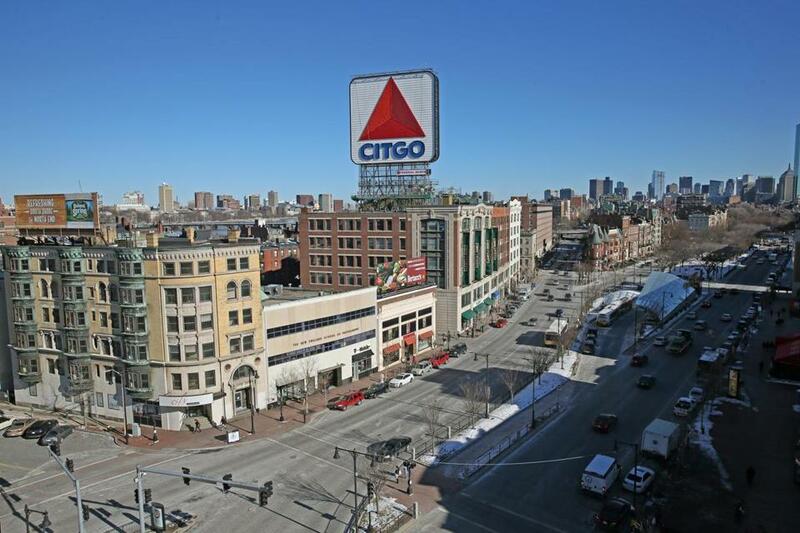 On Monday, Citgo officials hosted a meeting at the Commonwealth Hotel in Kenmore Square to gauge support from preservationists, neighborhood leaders, and other fans of the sign. That support will prove strong, predicted Daniel Bluestone, an architecture professor at Boston University who attended Monday’s meeting.